Friday, April 12, 6:00 p.m. at First Presbyterian Church, Tartan Hall. 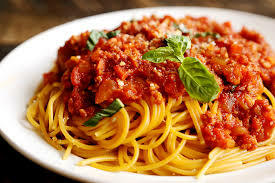 For this year only, we have moved the Spaghetti Dinner to April. Please join us on April 12 as we celebrate and enjoy the annual spaghetti dinner. We will gratefully acknowledge the retirement of Doris and Larry Jelley after seventeen years as chief cooks and lead volunteers for the spaghetti dinners. This event is the NHC’s largest fundraiser of the year. The cost is $10.00 per person. We will be selling NHC t-shirts, used hiking related books and there will be a 50/50 raffle. We are hoping to have storytelling by our own Nancy Reeder and friend. Please bring a dessert to share and your own dishes, eating utensils, and cups.